In my downtime, I've been working hard to build my name and brand; I've meet several brands over the past few weeks, attended several blogger events, and have worked on material to display on social media and my blog; all this networking and exposure helped land over 5k followers on Instagram! 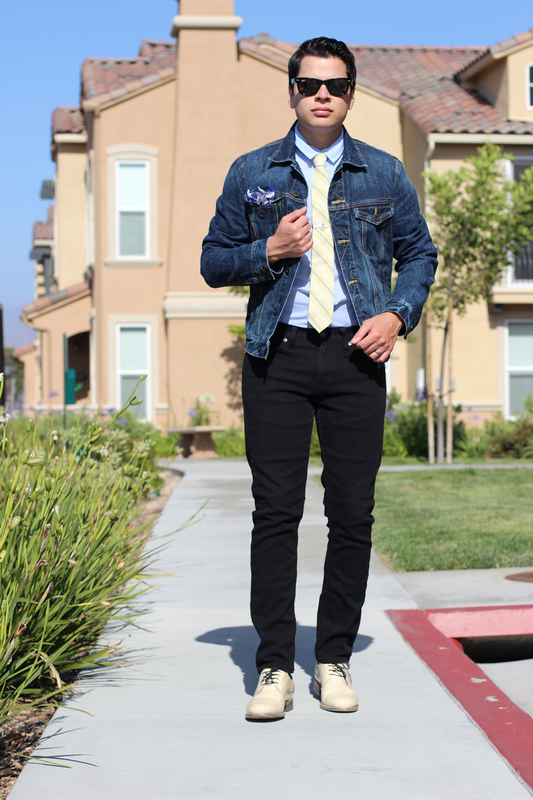 This assemble featuring May's Sprezzabox is perfect for a casual event; grab a cup of coffee with your date or head out to brunch with your buds. 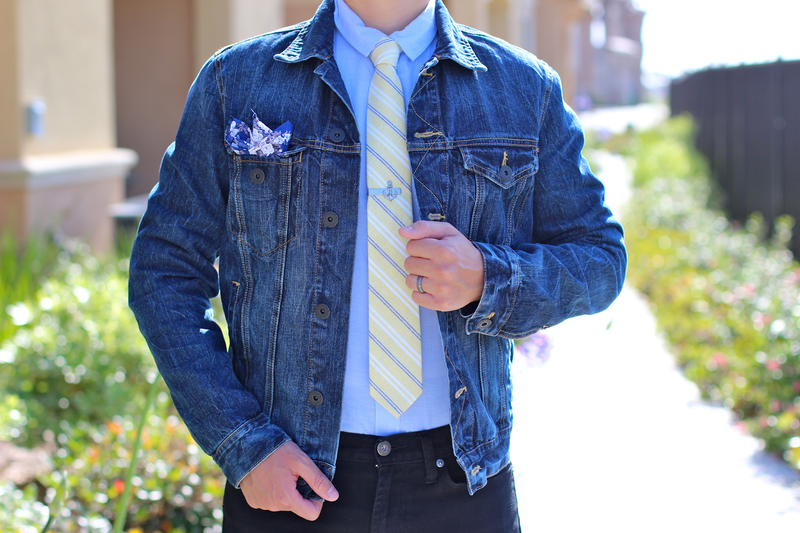 Being a Southern Californian dude, this outfit goes great for nearly any event. You can absolutely dress this in a very formal attire; throw in a blazer and dress pants and you're golden. 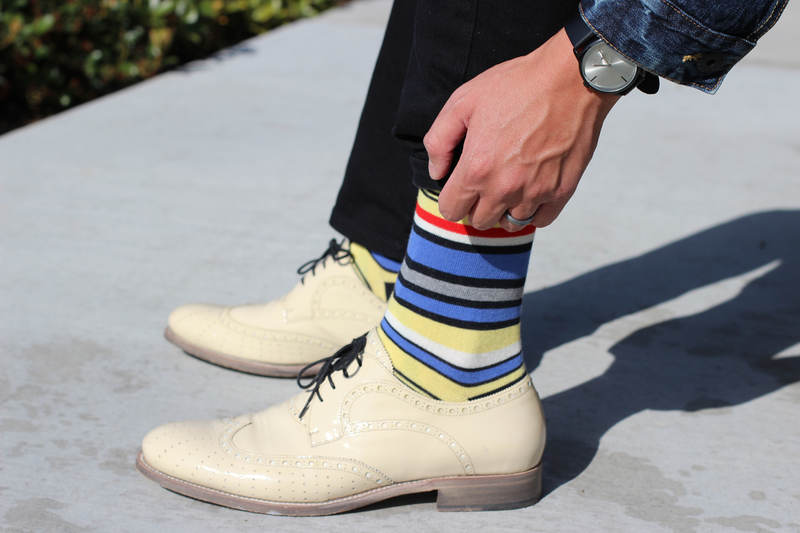 To play the yellow tone of the Weekend Casual Linen Tie and the yellow hues of the Unsimply Stitched socks, I paired this outfit with these sick ivory patent leather Valentino shoes. 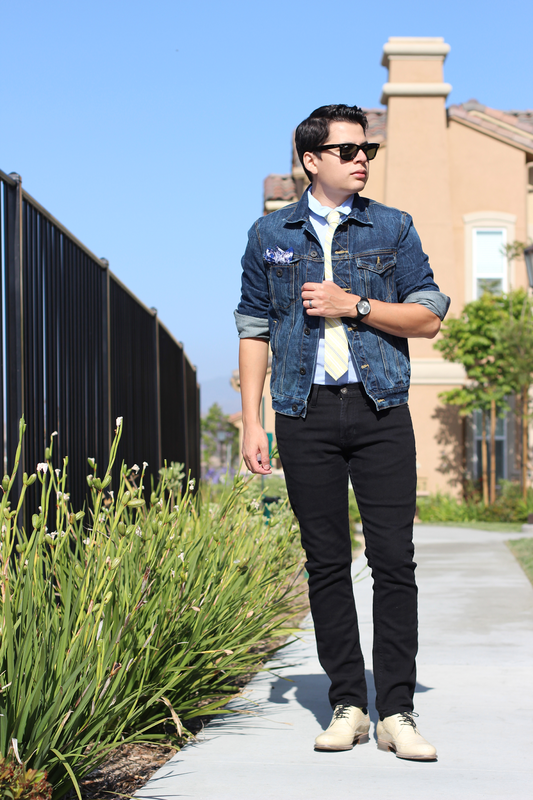 What do you bro's thing about this outfit, yay or nay? Super combo ! 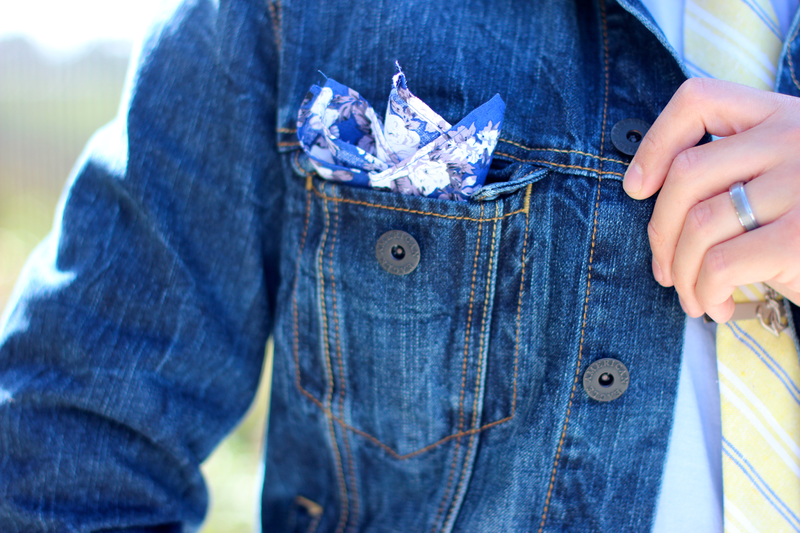 socks, pocket, tie, denim jacket ... Stylish !